Earlier this year we were lucky enough to move into a converted chapel. Whilst we rent it for six months it gives us the chance to save £400 per month on rent plus see if we enjoy living in the chapel before applying for our first mortgage and potentially buy the chapel. 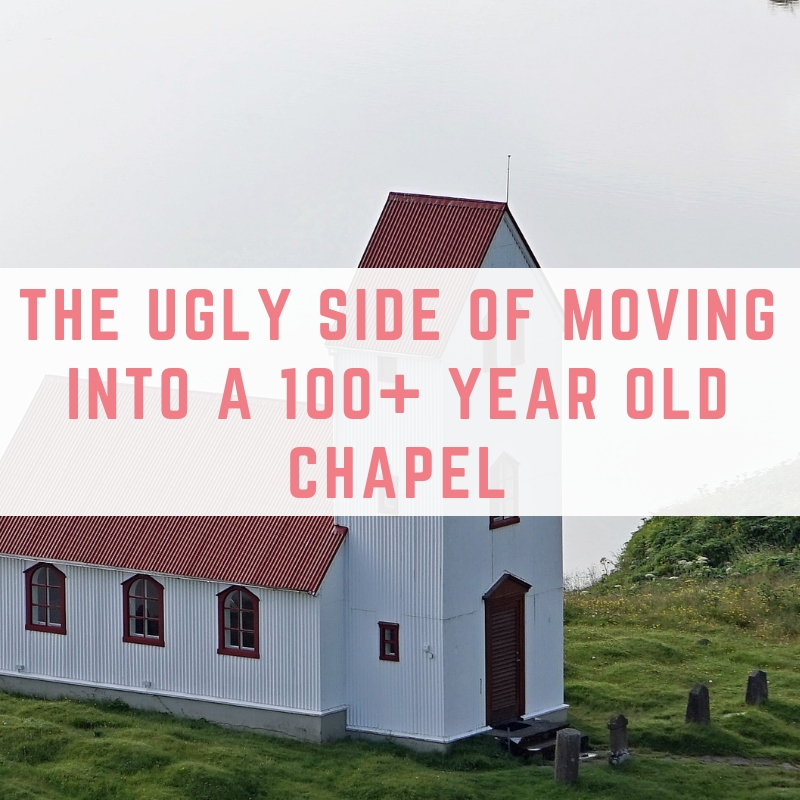 Living here has been a great adventure, and in this post I want to share some of the not so great things about living in a 100+ year old chapel. Our chapel is off the grid, meaning that we have to rely on heating oil because we don't have gas on demand. Heating oil is also pretty expensive, and you have to order a minimum of 500 litres, which costs almost £300! Aside from the cost there is another massive annoyance, and that is that our heating oil is limited. We have to carefully watch how much we use and guess how long it will last. The last thing we want to do is run out a month before we move out and have to pay almost £300 for a delivery and then move out and leave it behind. Another thing that we have to be careful of is the septic tank. Hands up, I don't actually know if this falls under our cost to empty or the landlord's (I need to dig out that tenancy agreement) but it is another thing that we need to guess. We have no idea how long a septic tank takes to fill – the internet answers vary from 1-3 years. The tank is also right in a prime position in our garden, meaning that we can't create the garden of our dreams without relocating it or making some sacrifices along the way. Of course with a building that is over 100 years old we have a massive issue with damp. It didn't help that when we moved in our boiler was broken and we were without heating for a few days. In those few days out belongings started to get damaged – book covers curled up, food in the kitchen like sugar got damp. Damp is a massive problem in our chapel. Dynamic Property Care offer great damp proofing solutions. You might be looking for Damp Proofing services in Stoke on Trent, Damp Proofing services in Stafford and Damp Proofing services in Crewe. Our landlord has had extractor fans placed into almost every room of the chapel, at a great cost! However the previous tenants didn't run them all the time (they cost something like £10 per year) so the big open plan loft has black mould on all of the walls. It is a massive job for us to clean and paint over. Having these extractor fans is a little on the annoying side – the sound of them running all the time is getting on my nerves and means it isn't peaceful in our house. All of our neighbours have the same issue and have tried different methods of coping with the issue. One of them plugs in a huge damp extractor to run throughout the night every night, and another has had a course of damp proofing done. We are also worried about the damp sitting on my chest. I have been ill with ‘just a cold' for three weeks now, and I cannot shake this lingering cough. It might just be in my mind, but we are convinced the damp has an impact. The chapel windows are high up, at least as my eye level, and the bottom half are all frosted. This basically means that I cannot see out of the windows. I can just see the sky. I didn't realise how much this impacted me until we had a rainy day and all I wanted to do was curl up on the sofa and watch the rain. Since noticing it I can't stop noticing it. I miss having a view of outside and especially watching people walk their dogs. Whilst we have heating and radiators, the house takes a very long time to warm up. Even on warm spring days we need to put the heating on because it is so cold. Heating the massive open plan loft is impossible with just two radiators to heat up a 36ft loft. There are no mod-cons at the chapel – no thermostat that we can set the heating to, or underfloor heating. Was moving in the chapel a mistake? Absolutely not! Tony and I wanted an adventure whilst we were saving for our house deposit, and we can't complain about an adventure that lets us live in an amazing converted chapel. 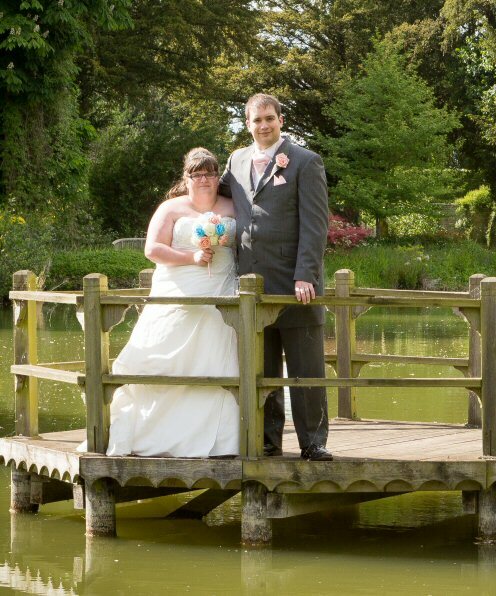 Living here has helped us to make our decision about whether we want to buy the chapel or not. Whilst it is a gorgeous property and has so much potential, we can't help but notice the money pit that it will be if we owned it.